In a bowl, blend the mayonnaise and wasabi. Add the salmon and chives. Blend well. Season with salt. Cover and refrigerate while preparing the fried seaweed. In a large 30-cm (12-inch) high side skillet, preheat the oil over medium-high heat. Spread the cornstarch in a large plate. Set aside. On a work surface, brush one seaweed sheet at the time with the egg white, on each side. Dip and coat with the cornstarch. Shake to remove any excess. Fry in the oil for 30 seconds to 1 minute per side or until crispy. Drain on paper towel. Sprinkle with salt and cut immediately into nine squares. Cool completely. Repeat with the remaining sheets. Allow to cool. 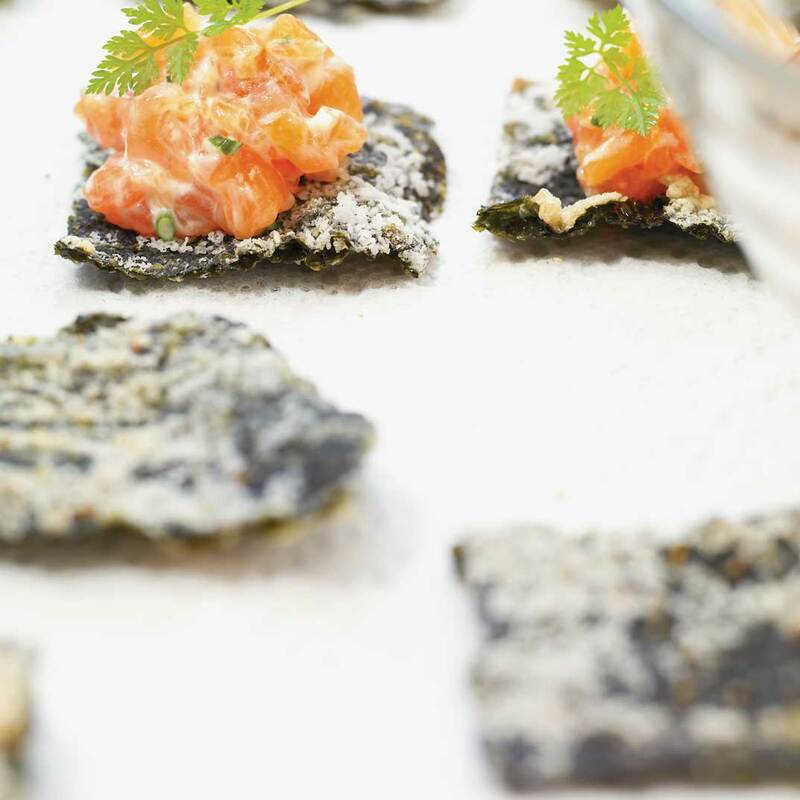 To serve, place about 5 ml (1 teaspoon) of tartare on each seaweed square. Garnish with the sprig of herb of your choice. 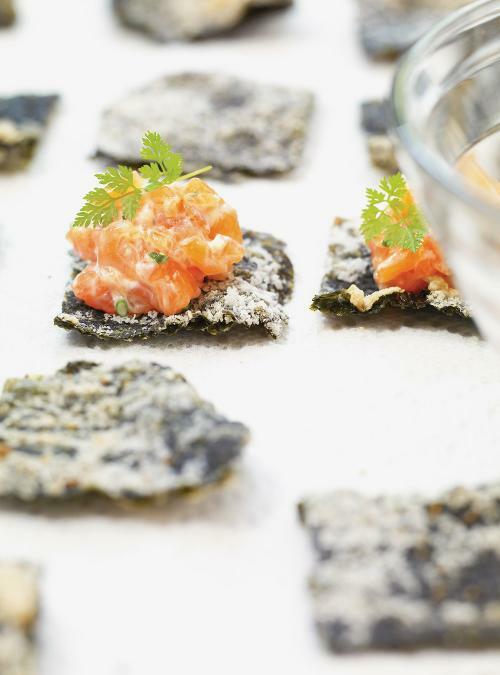 Good to know: The fried nori seaweed will keep several days in an airtight container. The tartare is to be prepared the same day. Do not be frightened by the word "seaweed". In addition to being delicious and crunchy, they make a beautiful presentation for the tartare.